Electricity is everywhere, and that means you’re vulnerable to electrocution accidents almost all the time. When someone else’s negligence leads to your electrocution injury, you can pursue compensation with the help of a Spokane electrocution attorney. When you’re electrocuted, the shock streaks throughout your body. Your injuries are likely to be extensive and serious. Unfortunately, even if you’re being cautious, someone else’s negligence can lead to an electrocution accident that injures you. When that happens, you deserve to be compensated for your pain and suffering, medical bills, lost time at work, and other hardships. 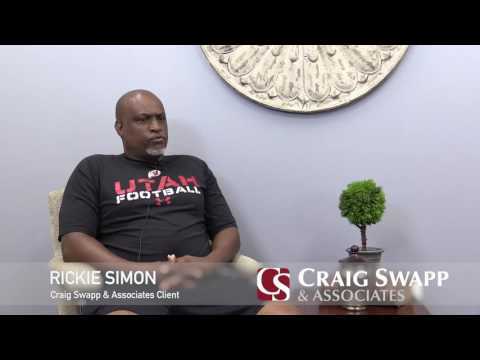 If you team up with a Spokane electrocution lawyer at Craig Swapp & Associates, you’ll get the benefit of years of experience and in-depth knowledge of electrocution injury cases. That means you’ll give yourself a strong chance of receiving the compensation you need to recover. You may be able to seek compensation for two general types of injury-causing electrocution accidents: premises liability and workplace electrocutions. Premises liability electrocution occurs when you’re electrocuted on someone else’s property, at a commercial business, or even on a street in your own neighborhood as a result of the property owner’s negligence. Additionally, you could have been electrocuted on your own property if a contractor you hired was careless with the electrical wiring that caused your injuries. The other general type of electrocution injury occurs while you’re on the job. Poor safety standards and mistakes by contractors or inexperienced employees can cause devastating electric shocks. In some of these instances, the victim may even be able to file not one but two claims: a workers compensation claim and an additional claim against a third-party contractor who could have also contributed to the accident. Numerous causes could have led to your electrocution injury. Although carelessness on your behalf may have caused your injury, negligence on the part of another party is by far the most common cause. The effects of electrocution injuries are often long-lasting or permanent. Compensation for these injuries is generally considerable. Electrocution isn’t an everyday injury. And getting the compensation you need to recover isn’t going to be easy. But the attorneys at Craig Swapp & Associates know how to effectively handle electrocution cases to maximize the compensation you stand to receive. To learn more, contact a Spokane electrocution lawyer by calling 1-800-404-9000 or filling out our online form below.